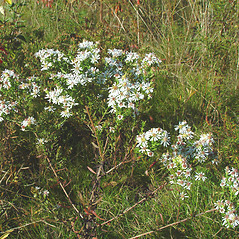 Heath American-aster is typically found in sandy, open areas, or sometimes on rocky ground near the coast. 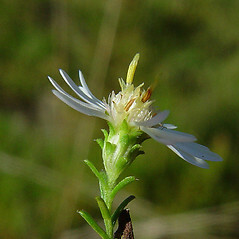 It occasionally hybridizes with New England American-aster (Symphyotrichum novae-angliae), but such plants are usually found with both parent taxa nearby, and appear intermediate. 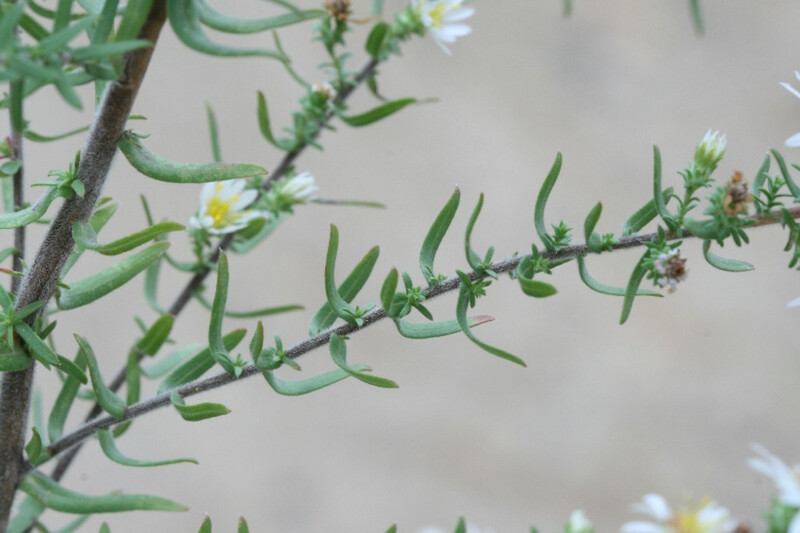 While several cultivated varieties of aster are sold under the name 'Aster ericoides,' these plants are not heath American-aster (Symphyotrichum ericoides), but are derived from English garden plants and are cultivars or hybrids of other aster species. 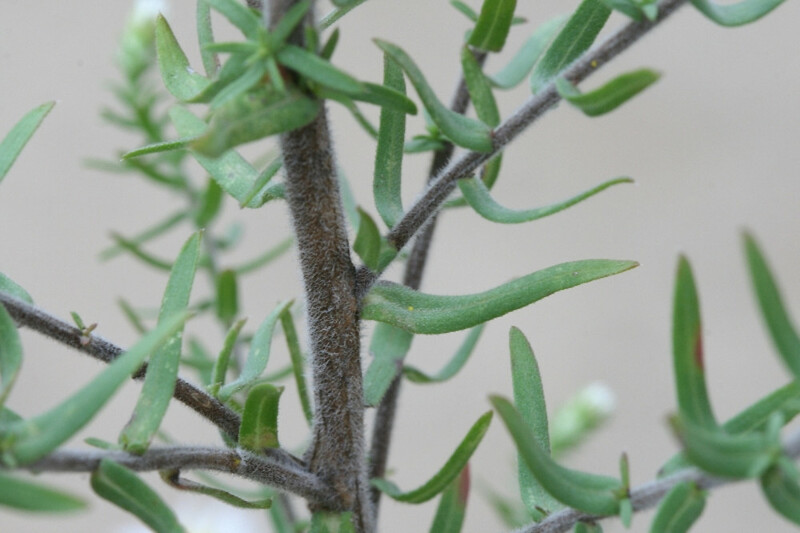 involucral bracts tapering to a green point, without cilia or with few, soft cilia along the margins (vs. S. ericoides, with involucral bracts terminated by a short, stiff bristle-point and with abundant, stiff cilia along the margins). 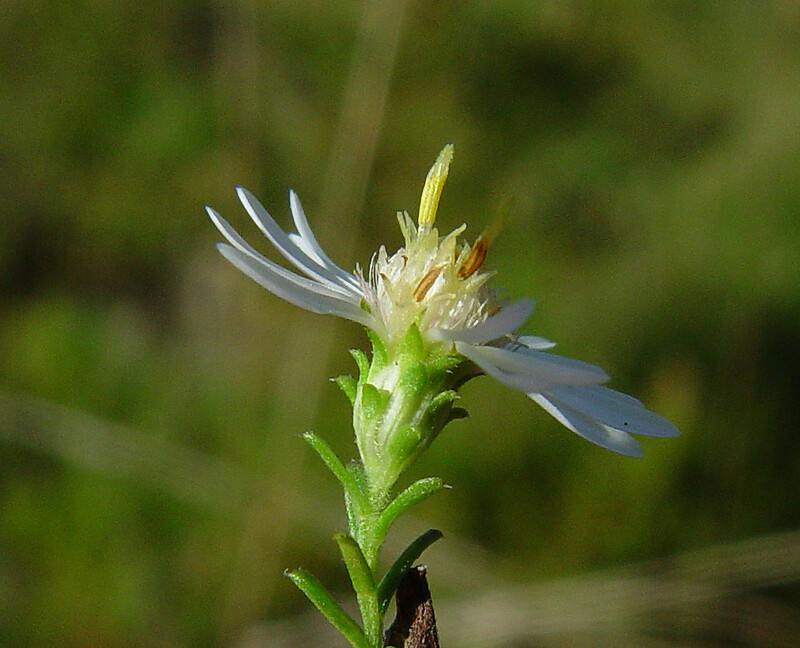 Our variety is Symphyotrichum ericoides (L.) Nesom var. 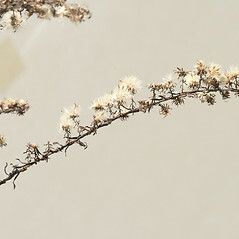 ericoides. 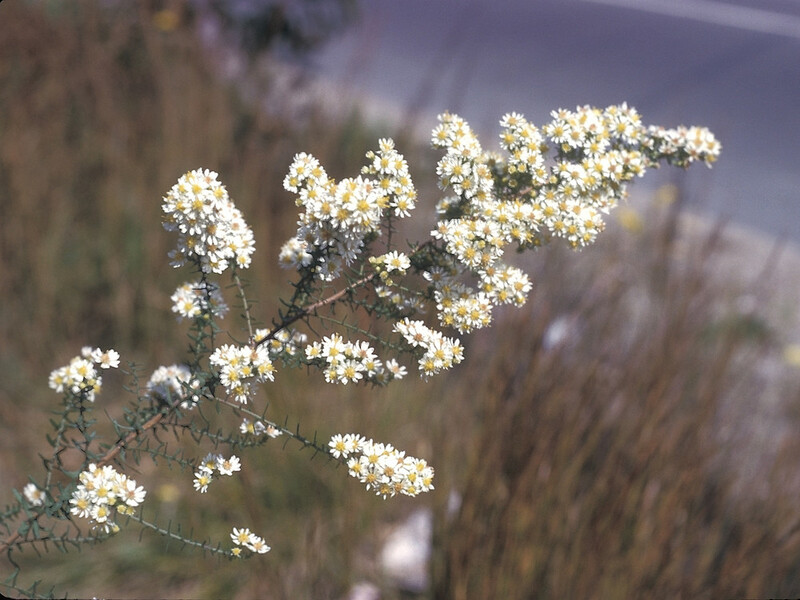 heath American-aster. 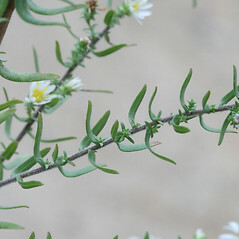 Aster ericoides L.; A. ericoides L. var. 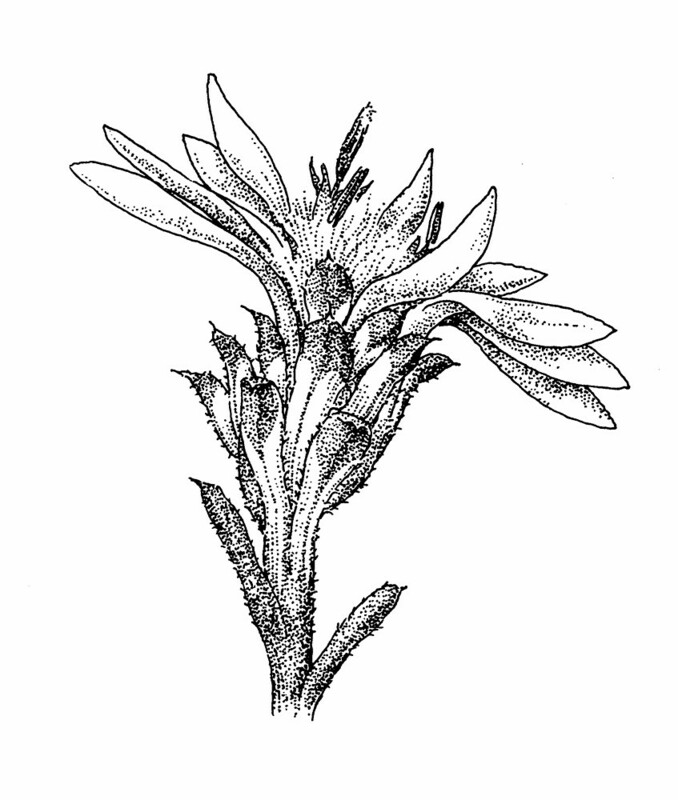 prostratus (Kuntze) Blake; A. multiflorus Ait. 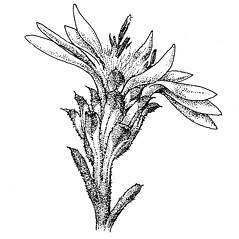 ; A. multiflorus Ait. var. prostratus Kuntze; Lasallea ericoides (L.) Semple & Brouillet; Virgulus ericoides (L.) Reveal & Keener • CT, MA, ME, NH, RI, VT. Sandy, open areas, also sometimes rocky turfs near the coast. 8×14. 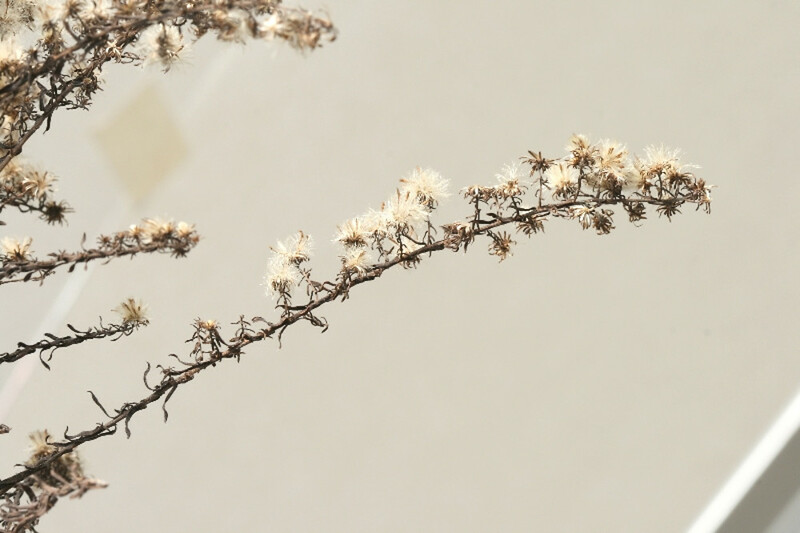 Symphyotrichum ericoides × Symphyotrichum novae-angliae → Symphyotrichum ×‌amethystinum (Nutt.) 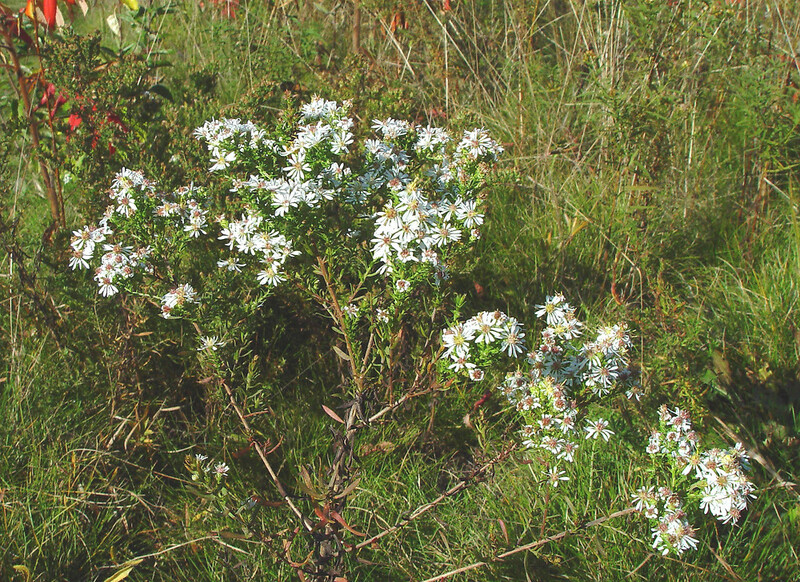 Nesom is an uncommon American-aster hybrid known from CT, MA, RI, VT. 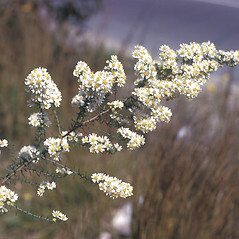 It is normally found growing with both parental species and is intermediate in morphology between them. 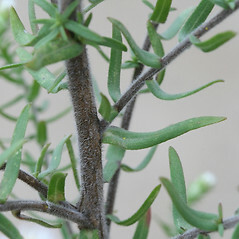 The involucral bracts do not taper into the long apex found in S. novae-angliae, are sparsely stipitate-glandular, and lack a spine tip (with a spine tip in S. ericoides).